If you have friends on other servers, as long as you're on the same faction, you can play together. You can even join cross-realm guilds, provided your servers are "connected". Each server has one (or sometimes two) servers linked in this way. Not in a raiding guild, or just want to see the raid content with little pressure? Hop into LFR and you'll be dropped into a low-difficulty 25-man version of your chosen raid. Mechanics are a lot more forgiving in this mode, which my friends tell me is about on par with queueing up for a Heroic dungeon. The loot isn't as good as "real" raiding, but that's to be expected. Normally, you can run a dungeon as many times as you'd like. In past expansions, you could set the dungeon difficulty to Heroic and experience a more difficult (and rewarding) version with a daily lockout. Mythic ups the difficulty and loot rewards even further, but has a week-long lockout. Ouch! 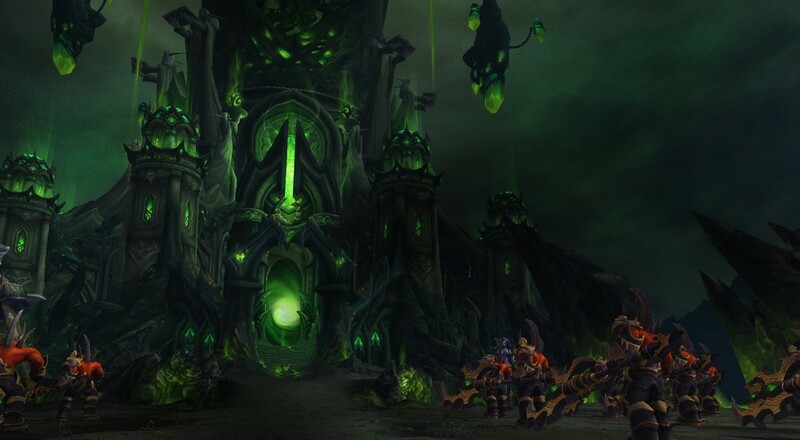 Raids can now be run at Mythic difficulty as well, with 20-player groups. This is what your standard progression guild will aim to tackle. These are timed versions of five-man dungeons that scale your gear down to a specific level to maintain the difficulty level. Aim for the best time! All dungeons from Warlords of Draenor and Legion can be run in this way. Garrisons are one of the big features added in Warlords of Draenor, but the less said about them is probably for the best. The system allows you to build a base and send units out on missions, allowing you to earn gold, gear, and other types of high-level currency. Unfortunately, the mobile game-like structure never received any kind of mobile companion app, and the general dearth of content updates in WoD left a sour taste in players' mouths. In Legion, your Class Hall replaces your Garrison (though you can still use it if you like). Page created in 0.6878 seconds.